Hargittai, E., & Hsieh, Y. P. (2013). Digital Inequality. In W. H. Dutton (Ed. ), The Oxford Handbook of Internet Studies (pp.129-150). Oxford, UK. : Oxford University Press. 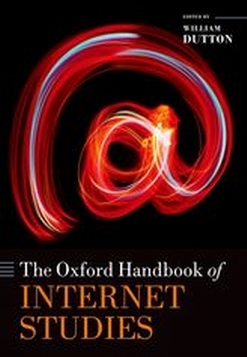 The Oxford Handbook of Internet Studies is published in January 2013. Our chapter offers a systematic overview of digital divide/inequality research; it also provides a theoretical framework and future research directions for inquires in this area. For more information about the hand book please visit here. For the pre-print version, please consult Prof. Eszter Hargittai’s project page at here.